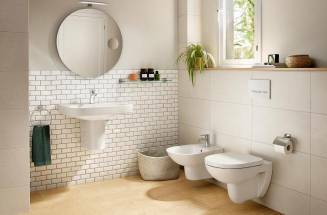 Each bathroom is a different world, but what is really important is that it is your world. Before starting renovations, make sure you have found the style that best suits your personality and your needs. Come on the journey through different textures, colours and lifestyles, tailored to meet your dreams. Come on, inspiration awaits you. 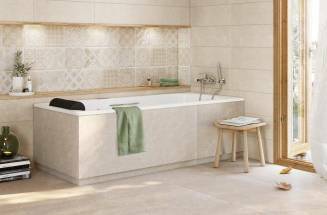 Opt for retro-styled porcelain floor tiles that return to set a trend. 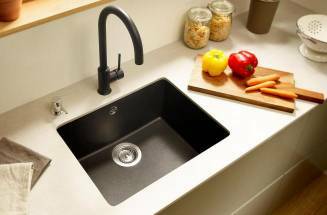 Choose quartz kitchen sinks with different finishes and explore thousand and one modern kitchen designs. 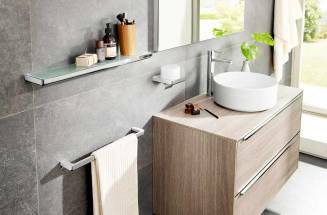 Choose towel rails, soap dishes and shelves for modern or vintage bathrooms. 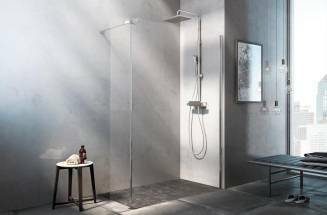 Discover spike-shaped or hexagonal tiles in a wide range of decorative mesh. 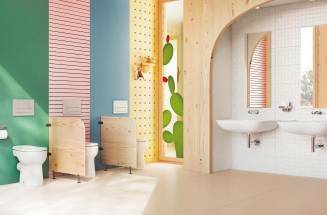 InspirationWHAT IF YOUR BATH WERE ALSO YOUR LIBRARY? 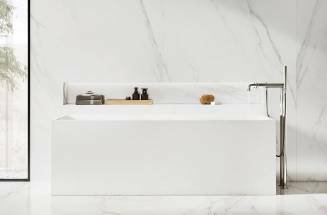 Hydromassage baths customized with shelves or drawers to travel to other worlds through reading. WCs for children or baths with grips to take care of the little ones. 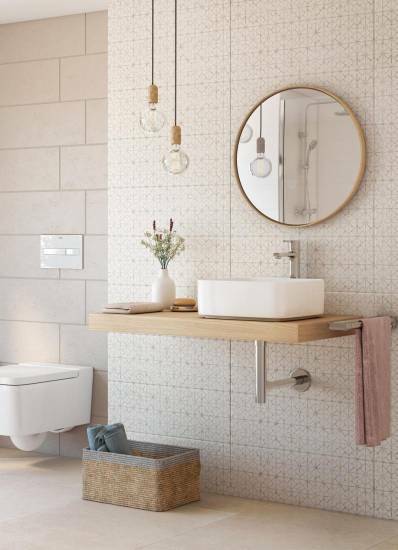 Opt for visible structures, robust materials and the color of cement in toilets, bathroom furniture or tiles. Discover the mosaic tiles of the new Rock Art collection. 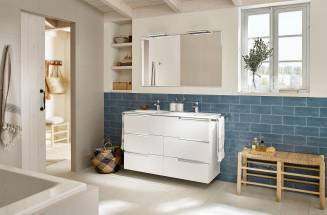 Furniture units with double basins or double-ended baths to experience the joy of sharing. Jacuzzis, cabins, shower columns and hydromassage baths so that you only need to worry about breaking away.